Cleaning might not seem like the most exciting business opportunity, but, as an industry worth in excess of £9bn with reasonable franchisee fees, a cleaning franchise is relatively easy to start and offers great income potential. From domestic cleaning to commercial cleaning jobs and more niche areas, there are a number of franchise brands with territories available nationwide for budding entrepreneurs. Providing that you’re willing to be hands on, you don’t have to be an expert cleaner as many franchises will be able to train you up and help you hire experienced staff. 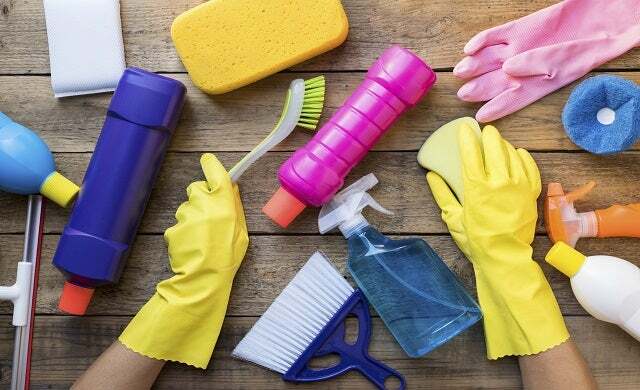 For general domestic cleaning, you could become a franchisee for established franchises such as Bright & Beautiful, Home & Dry, or Molly Maid; the latter has turnover of over £16.5m and a UK network of 70 franchisees. Or, for commercial and office cleaning, which is often more lucrative, you could join a chain such as Minster Cleaning which has been running since 1992 and says that more than a quarter of its franchisees generate over £1m turnover each year. Specialised cleaning is also gaining traction among UK consumers, particularly in oven cleaning, ‘deep clean kitchens’, and car cleaning. There are a number of successful franchises operating in these areas that you could start a franchise for such as Oven Wizards, Oven Gleamers, Oven Wizards, Envirogroup, and AutoValet Direct. Cleaning franchises can often be managed from home so there is flexibility for those looking for work/life balance, and franchise brands will typically provide support with set-up, marketing and PR, initial resources such as a website, management, and ongoing training. Find out more about cleaning franchise opportunities here. You can also read more in our Startups Guide on How to start a cleaning business!